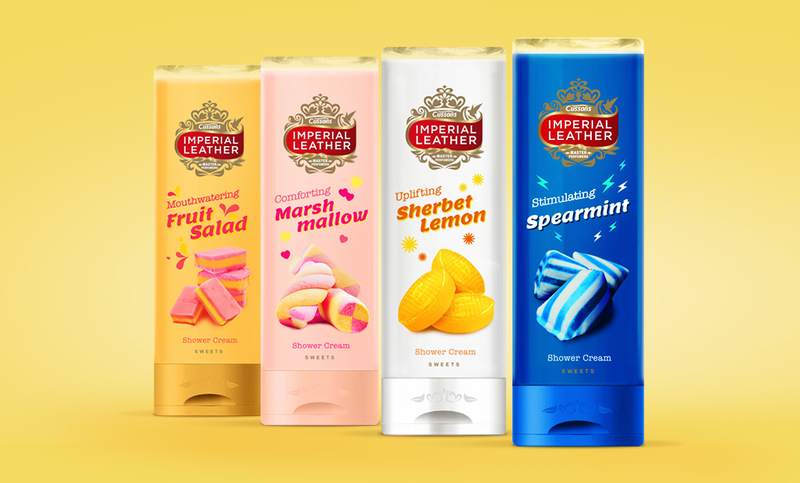 Imperial Leather’s Sweets shower range had little shelf impact, was complicated and overly fussy and wasn’t performing as well as hoped. 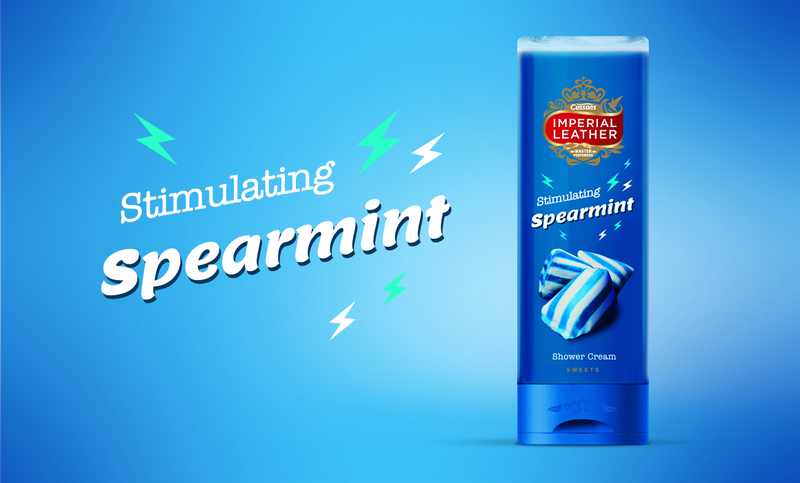 We were asked to revisit the range to make the new packs more fun, improve shelf stand out ultimately increase sales. These fun fragrances smell exactly as you remember your childhood treats to smell. 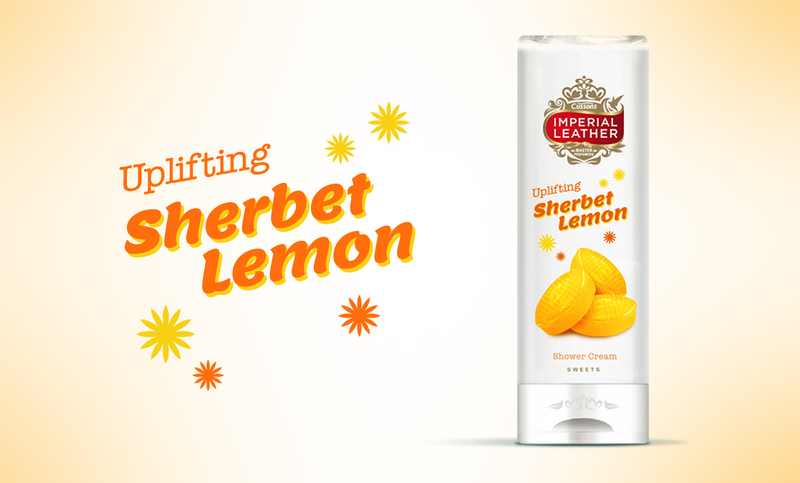 Everybody has a favourite, and so we decided we needed to make these nostalgic sweets the stars of the new packs. 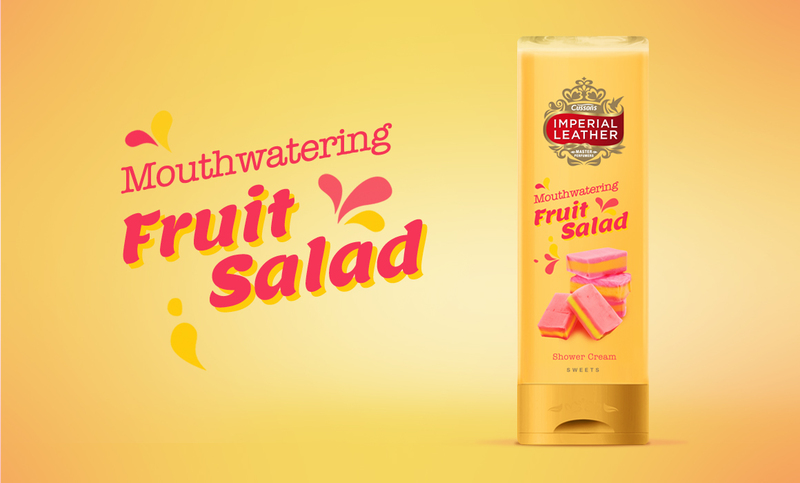 Large bright piles of marshmallow flumps, mint humbugs, fruit salads and lemon sherbets instantly communicate the fragrance inside, while a slightly retro and not-so-serious typeface keeps the packs fun and youthful.